We're going to kick it off with the District everyone was likely talking about after the results rolled in, and that was District 2. I'm not at all familiar with Francis Park, but man it was a race track on Saturday. 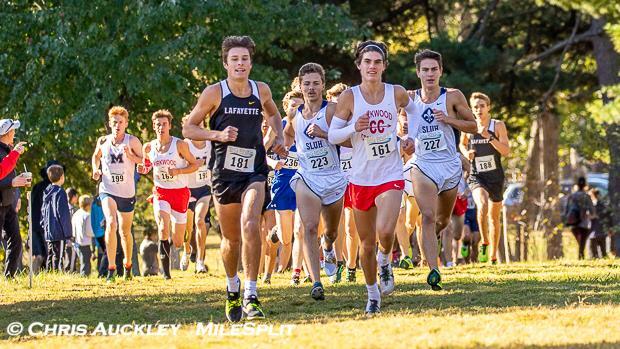 Out of 8 boys who broke 16:00 this weekend, 6 were from District 2 including Christian Baker (15:22) who had the fastest time this weekend. Harrison Brown of Lafayette was just behind with his second straight sub 16 with a 15:37. There were 37 boys sub 17:00. That's right, there were boys who ran sub 17 that will not be running at the Sectional Meet next weekend. We here at MileSplit send our condolences to those affected. The girls race was really fast as well, having 3 girls sub 19 and an additional 20 girls sub 20. Chloe Hershenow took the victory with a huge PR time of 18:33. 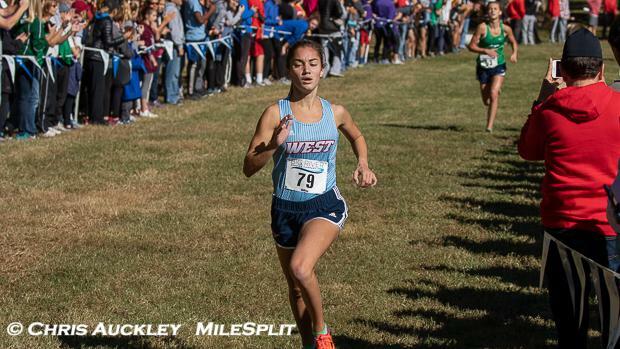 Katelynn Quade of Marquette was just behind her with a 18:37, and then Anna Karner of Lafayette with a 18:57. They never really left, but while the West Plains girls have been number 2 in the State Rankings pretty much all season, the Boys have flown under the radar for much of the season. Riley Simpson, Zack Finley, Colby Sanders, and Caleb Boys packed up to go 4-7 and Wesley Laughary took 16th for them to capture the District Title in an upset over Kickapoo (who had just beat them two weeks prior) 38-61 on Saturday. It would appear the Zizzers are poised to capture yet another State Berth this weekend at Sectionals. 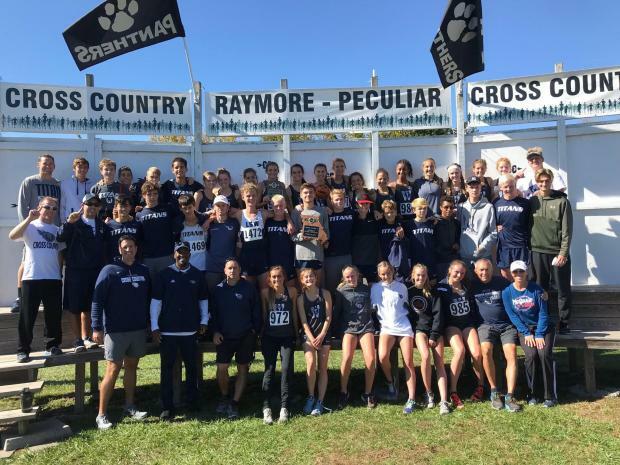 Both the Boys and Girls Squads of Lee's Summit West captured the team title for District 6 this weekend. The Boys team did so pretty impressively after being third in the virtual meet with a 42-63 victory over Ray-Pec. Jimmy Dietrich led the way for the Titans with a 16:34 which was good enough for third place. The #1 State Ranked Girls Squad also ran away with the title 28-47 over Ray-Pec. Titan Senior Ginger Murnieks also brought home the individual crown as well with an impressive time of 18:18. 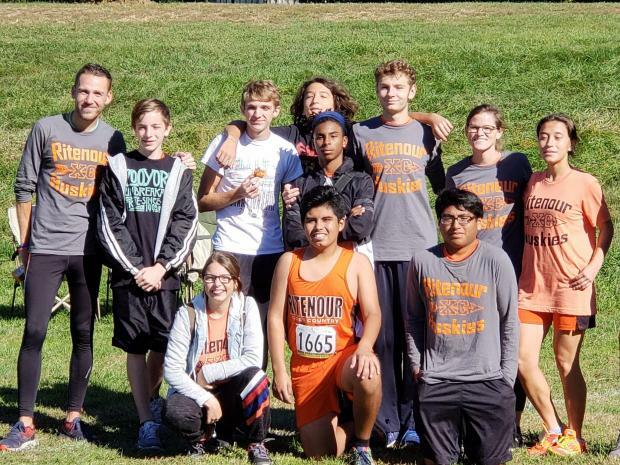 Ritenour conquered the long and tough hills at Parkway Central on Saturday to place 4th and qualify for the Sectional Meet. Some people who are new to the cross country scene in Missouri may not see the significance in this, but those of us who are familiar know this is a big deal. This is the first time since 1988 that Ritenour has made it past the District round of the State Series. This is a huge accomplishment, and hopefully the start of something over there. Congratulations to Benjamin Weissler, Michael Schutzius, Kendrick Canup, Joseph Kipper, Hudson Delacruz, Sajith Gonzalez, Dublin Collins and their coaches on the achievement. 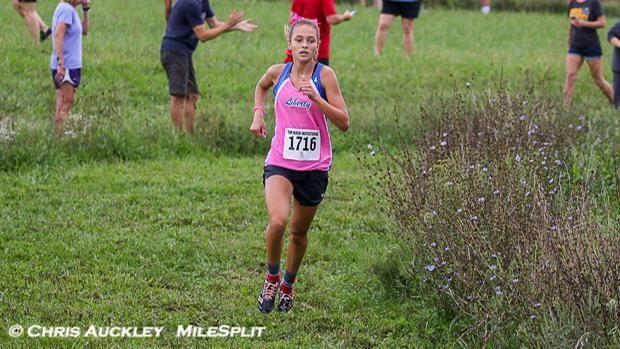 Missouri #1 Madelynn Hill remains undefeated against Missourians this year, as she captured the individual championship in District 8 by over a minute over Elizabeth Stinson of Liberty North with a time of 18:38. She'll look to continue her streak this weekend as she'll square off with Blue Springs standout Tessa Valdivia.